200ah starter battery - mf70029. Total height (mm) - 238. Weight (kg) - 59.2. Commercial, truck, boat, tractor, generator and many more. Large trucks, buses and construction vehicles need excellent performance and safety. Hankook's heavy-duty batteries feature excellent cold start amperage to provide the best starting, superior reserve capacity and a deep discharge cycle to provide the power needed. The heavyweight batteries of hankook have ?? also resistance to vibrations and external impacts to ensure the best safety. These batteries are fully charged and ready for use. Mf sealed - no time and money spent on maintaining the batteries. Calcium alloy - prevents grid surface from corrosion, reduces self-discharge by chemical bonding with calcium grains and minimal evaporation of water. Thicker Plate and High Density Active Ingredient - Provides high endurance in the deep cycle and best load acceptance. Manufacturing - ensures resistance to external impact and vibration, and minimizes the loss of active ingredients. Separator - vibration resistance improved. X-frame - improved lifetime, providing stable startup power and reduced network growth and short circuit. Magic eye indicator - easy to check the state of charge. Easy carry handle - provides easy transportation and installation. Reinforced container - protects the battery against vibration and impact. Attention please check the dimensions of the battery and those of your battery tray. The mention of your vehicle in our listing does not exempt you from elementary checks of the dimensions and polarities of the battery. Indeed for some vehicles there are variants of batteries. Thank you for taking into consideration the fact that we do not deliver Corsican. For card payments, please call our customer service on 02.31.30.79.02 or 02.31.75.07.97 and n? Packing please refuse the package or make clear reservations about it? The setting up of this procedure is necessary to proceed to an exchange. 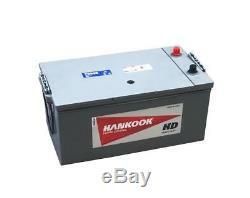 The item "boat battery, truck, slow discharge 625hd 12v 200ah mf70029" is on sale since Tuesday, June 19, 2018. 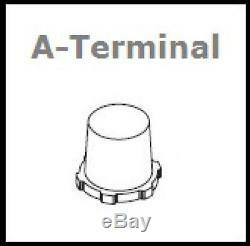 It is in the category "vehicles \ parts, accessories \ auto \ parts \ electrical components \ batteries". The seller is "batteriemegastore2009" and is located at 14790.